Bixby Button and How to Use - Samsung doing more than ever before, so it makes sense to make the switch to a smartphone that helps you do big things. 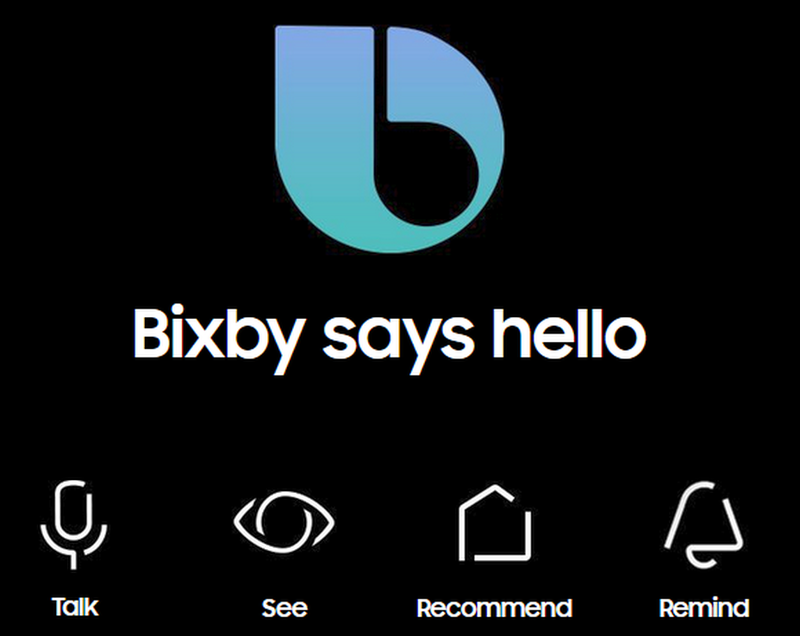 The Bixby button assisting in completing tasks, telling you what you’re looking at, learning your routine and remembering what you need to do. 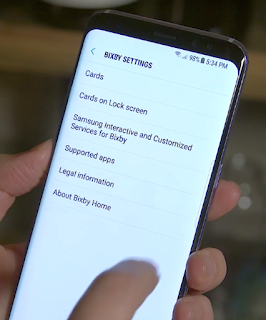 Learn here Bixby user guide /manual how to use Samsung Bixby button on Galaxy S8/S8+ and for another phones. 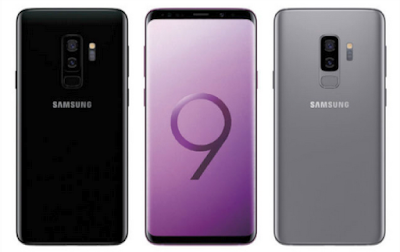 Whether your old phone is an Android, iOS, BlackBerry or Windows Mobile device, upgrading to a Samsung Galaxy S8/S8+ smartphone on easy way move with Smart Switch. Download Bixby app for the fastest way to control your connected devices. The Galaxy S8 available now on the market pre order and buy to feel new performance and the most new features. Bixby button allocated on the Samsung Galaxy S8/S8+ below the volume button. You can compare Bixby vs Siri and share with us about an intelligent personal assistant developed by Samsung. Bixby makes a new way to interact with your phone. Samsung Bixby manual : Just push the Bixby button on Samsung Galaxy S8/S8+ getting things done has never been easier. Bixby knows your phone’s apps and how to use them. It's comes with three parts, known as Bixby Voice, Bixby Vision and Bixby Home. With Bixby Voice, the user can trigger to Bixby by simply calling it or pressing and holding on the button allocated below the volume rocker. Bixby Vision is built-in into the camera app and can "see" what one can see as it is essentially an augmented reality camera that can identify objects in real time and then search for them on various services and purchase them. Bixby can also translate text, read QR codes and recognize landmarks. Choose Samsung Interactive and Customized Service for Bixby to customized Bixby service for the first time before use. With Bixby Samsung now you can talk, tap or type, because Bixby understands it all. Samsung Account log-in and data network connection (Wi-Fi or data network) are required to use this service. User interface design can be updated. Press Bixby Button and say “Galaxy S8 Plus Manual” and Bixby will do the best result. If you tell Bixby “When I say ‘Goodnight’ turn off the lights and start the dishwasher,” Bixby will create a mode that does just that. Access Bixby Home and do as you ask. Connect your Samsung Smart Home devices with Bixby so you can use you phone to controll all home apliance, such as Fan, TV, AC, Light, Washing Machine, CCTV and other equipment. 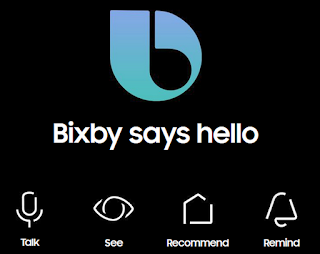 Just tap the Vision icon in your viewfinder and Bixby will serve up contextual icons: translation, QR code detection, landmark recognition or shopping. Service availability may vary by country. Quickly access your favorite apps and content in a tap or swipe. Bixby learns your routine, so you’ll always have the right content ready when you need it. From your recent messages and upcoming events, to your next Uber ride and daily news, Bixby pulls the most important information from different apps, so you can accomplish more from a single screen. 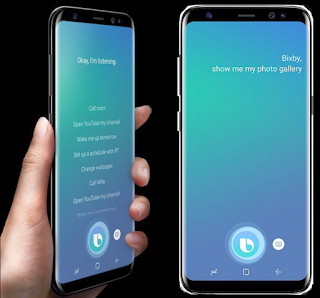 These Bixby flagships was first AI assistant, what remains to be seen is whether Samsung extends the Bixby privilege to older Samsung phones as well. For now, Official Samsung seems to have zero plans regarding the listing of Bixby on Google Play Store. However, a user, takerhbk on XDA Developer Forums might have a breakthrough for those who want Bixby assistant on Galaxy S7 device. On the forum which led to many users trying it out and it seems like Samsung Galaxy S7 devices running Android 7.0 Nougat could run Bixby unofficially on their phone.Any Samsung phone running Android Nougat can try the method to get Bixby unofficially on their device. But, before proceeding ahead with the instructions, we would like to warn our users about the third-party downloads. It is highly recommended to do ample research before getting on with the step-by-step process. Rivalling assistants Siri, Cortana, Google Assistant, and Alexa. For the Galaxy S7 users, we would like to suggest that your device might already have the Google Assistant onboard and it is equipped with most of the functionalities that can be done via voice commands. However, there is no problem with trying out the Samsung’s Bixby. Like Amazon Fire Phone’s Firefly, Bixby can also scan an image of the product and show you the results such as where you can buy it and how much it costs. Along with identifying the object in the picture, Bixby will also scan the location and show you the prominent information about the area.